Before Lord Ramsbotham was appointed HM Chief Inspector of Prisons in 2005 he had been a regular soldier for 38 years. He was head-hunted for the job two and a half years after retiring from the Army in the rank of General. Within a week of taking up his appointment, he carried out an unannounced inspection of HMP Holloway. He and his inspection team were so shocked by what they found there that they walked out in disgust. From that moment, Lord Ramsbotham told the unequivocal truth about the terrible state of the prisons and the complete misunderstanding amongst many with influence of what most prisoners needed. He then set about working to mitigate the problems and to support the areas of strength with every possible tool at hand including writing a book called Prisongate, The Shocking State of Britain’s Prisons and the Need for Visionary Change. The mood and temper of the public in regard to the treatment of crime and criminals is one of the most unfailing tests of a civilization of any country. A calm and dispassionate recognition of the rights of the accused against the State and even of convicted criminals against the State, a heart-searching by all charged with the duty of punishment, a desire and eagerness to rehabilitate in the world of industry all those who have paid their dues in the hard coinage of punishment, tireless effort towards the discovery of curative and regenerating processes, and an unfaltering faith that there is a treasure, if you can find it, in the heart of every man – these are the symbols which, in the treatment of crime and criminals, mark and measure the stored up strength of a nation, and are a sign and proof of the living virtue in it. 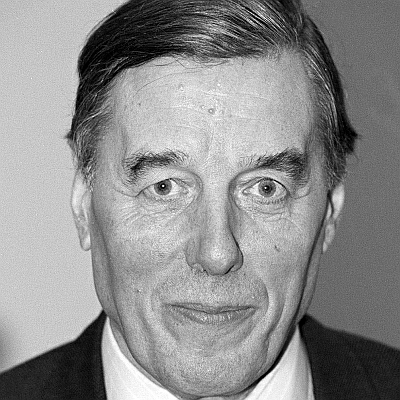 Lord Ramsbotham was appointed a crossbench member of the House of Lords in 2005, where he majors on penal reform.